Job posting sites are used by employers to find job candidates. We’ve provided 34 of the best free job posting sites below based on worker, industry, and type of talent. We’ll also provide hints to advertise and promote your open jobs to move them to the top of the job seeker’s search results. Since you likely won’t want to advertise on just one job board, you’ll need an easy way to post on multiple sites to find the best candidates. Freshteam is an applicant tracking system that lets you send the same job posting to multiple job boards (including LinkedIn, Indeed, ZipRecruiter, Monster, and Glassdoor) with just a few clicks. You also get over 50 job description templates and the ability to track which sites are sending you the most candidates. Best of all, Freshteam is free (for up to 50 employees). Most free job posting sites listed also have paid advertising options or sponsorships to increase the number of views on your free job listing. You can, of course, post links to jobs for free on your Twitter feed and Facebook pages as well, but those may lack applicant tracking features like attaching resumes and scheduling interviews. Indeed is currently the world’s largest job search engine with 250 million job seekers. You can post jobs on Indeed for free. They also have a resume database where you can search and send messages to job seekers, asking them to apply to your job posting. Learn more by reading our full review of Indeed. In fact, we’ve written a guide to help you get the most out of your Indeed job posting. In it, we discuss how to use Sponsored Jobs to give your postings premium visibility and deliver more qualified applicants. Claim your $50 free Sponsored Job credit. Wisestep is social recruiting job board where you can post as many jobs and search through as many resumes as you please. It’s best when you’re looking for passive talent from a particular school, industry, or college. Wisestep also allows you to sync your efforts with your current social network to get the word out about your job openings. It supports 40,000 clients. Ladders offers unlimited job postings and unlimited resume searches for free. They started out designing for roles with salaries of $100,000 and higher, making it a great place to find managers and executives. Today they accept most professional job postings with salaries higher than $40,000 and have over 240,000 six-figure jobs posted. For more information, read our complete review of Ladders. SimplyHired is a job search engine that serves as a job site aggregator. Post your job for free on SimplyHired (which uses Indeed to manage its job postings), and it’s shared on over 100 job boards. When applicants apply on SimplyHired, you’ll get an email. Here’s our full review of SimplyHired. This site was created after its owner got frustrated with Craigslist and the number of job scams that were found there. JobSpider is a simple website that offers unlimited free job posts and free resume searches on its platform. It’s great for employers looking to search and view resumes, and currently has about 100,000 resumes available for viewing. This site acts as a feeder for the large job boards, meaning that whatever is posted here is usually also picked up and posted to other job posting sites. You can post for free on their basic site, as well as search their resume database at no charge. About 1.5 million jobs are posted on this site each week. JobInventory aggregates posts from various other job boards, similar to Indeed. Its interface is not very high tech, and you’re required to sign up for an account before using because they want to verify each job is legit before posting it for their job seekers. Jobs can be added by state, which is nice when you’re seeking local job applicants or can’t offer relocation. This job board has over 50 professional job categories with thousands of resumes in each. You can find part-time and remote workers on FlexJobs. However, like some of the other job posting sites, you need to sign up before posting a job. We don’t currently have a review of FlexJobs, but it’s on our list. Hubstaff is a newer player in the job posting field. Its core software tracks employee time. However, it offers free job posts for full-time employees and temporary or contract roles for freelancers. That makes Hubstaff Talent a great place to look for both kinds of talent, as it gets over 90,000 monthly visitors. Here’s a review of Hubstaff time and attendance software. Shazzy Jobs is based out of Oklahoma and targets administrative and clerical jobs. It’s free to sign up and receives about three million workers a month seeking employment. Free job posts can last for up to 900 days, which means you could post your recurring job (e.g., sales rep) once, and leave it up for nearly three years – for free. If your business hires hourly employees, like those who work in a café, restaurant, cleaning service, or retail store, you might want to try one of these job boards. Unlike Indeed, where job seekers post their resumes, on many of the hourly job posting sites applicants simply apply to the jobs you post on the site. Most Craigslist’s sites provide free job postings, similar to posting items for sale in its other categories. Craigslist is great for food service, fitness, hotel cleaning staff, and other hourly, local, and part-time roles. Often, entry-level job seekers who aren’t aware of sites like Indeed have probably heard of Craigslist. However, in some locations, such as San Francisco, Craigslist charges $75 to post a job. Check out our full review of Craigslist. You may know this site better by its former name, Snagajob. Snag allows you to build a custom career website for your business and post jobs for free. Snag is best for entry-level candidates such as housekeepers, laborers, and hourly workers. You can even track and screen applicants for free using Snag. 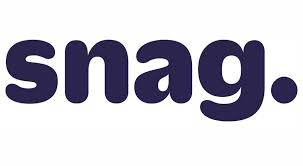 Check out our complete review of Snag for more details. Oodle is a classified advertising website that allows you to post jobs for free. It’s also very much like Craigslist in its look and feel, and provides localized results to job seekers. You can create an account with your email or Facebook, but to prevent fraudulent activity, they require all job posters to have a Facebook account. Need a mobile app or a new website? You might want to look at our Best Job Posting Sites for Remote & Freelancer section below. However, in addition to Indeed, the two job posting sites below are where you’ll want to look for part-time or full-time web managers, developers, mobile app developers, or other technical roles. Other great talent can be found too, but these websites are primarily known for technical roles. AngelList is the LinkedIn of the startup world; it is growing in popularity with nearly two million active candidates, including developers and designers. Posting a job and hiring a candidate are free through their site, making it a great option for small businesses looking to find IT developers and technical staff. Scouted allows you to post your jobs for free, and you don’t have to worry about paying until you hire someone. That means no risk for you. They provide candidates scouted from 500 schools, with graduates having up to five years of experience in 150 majors and average SAT scores of 2180. You’ll know you’re getting the best of the best. 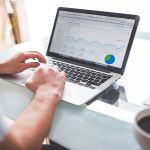 If you need part-time, one-off, on-demand help or perhaps someone consistently for a set number of hours a month, remote and freelance websites can be an incredible way to find top talent at economical prices. You can also find good IT help here, as well as human resources, recruiting, accounting, and project managers. Most of these websites, including Indeed and FlexJobs, make it free to post and hire remote workers and freelancers. On the sites below, you pay the freelancer’s wages through the website, and your freelancer may pay a finder’s fee as a percentage of wages on their end. Or you may pay a percent (2% to 10%) on top of the freelancer invoice once a job, project, or milestone is completed. Fiverr allows you to post your gig for free. For example, if you need someone to do data entry, you can get it done for as low as $5 per hour. You don’t pay to post the job, but you do pay a percentage rate to Fiverr in addition to paying the freelancer who will send you an invoice. Check out our Fiverr Review to learn more about how it works. Upwork is the behemoth of the online freelance marketplace. With no fee to the employer for posting, you are able to post jobs, track time, and manage contracts easily. You can also put parameters on your jobs so that you only see the right applicants, based on ratings, location, or their experience. Here’s our complete review of Upwork. Post your freelance jobs for free to a large database of nearly 300,000 registered contractors. Founded in 1995, it is the oldest freelance online job board. However, it’s not U.S.-based. The first thing you need to do when you enter the site is to translate it into English (unless you read French). Formerly known as MBA&Co, TalMix is great for when you need high-quality professional freelancers, many with over 20 years’ experience and advanced degrees. Sure, you’ll pay a higher hourly rate to the freelancer, but for a project like creating your professional business plan or building an employee handbook, it’s probably worth it. Guru is the technical and design hub for online freelancers. Like the other freelance websites, it is free to post and you’ll find qualified applicants quickly. Guru provides tools to help you find the “diamond in the rough,” and you will likely receive overseas applicants. Like many freelance websites, Guru provides an escrow account to protect your funds until work has been completed. Here’s our full review of Guru for more information. TopTal can be worth it if you are looking for top technical, engineering, or design talent and a “try before you buy” option, where you can work with up to five freelancers on a trial basis and only pay if you are satisfied and ready to hire the person. You need to provide a $500 deposit, but if you hire one of their freelancers, that deposit goes toward your first freelancer invoice. If the trial period doesn’t work out, the deposit is refunded. Check out our complete review of TopTal. Giggrabbers is a newer freelance website and it’s free for employers. The freelancer pays a fee, not the employer. In addition to freelance workers from around the world, you as an employer can also submit your freelance project for crowdfunding to help support your work directly from the Giggrabbers site. We don’t yet have a review of this site, but we’re on it! Freeeup is free for employers to use to find freelance self-employed workers that you pay between $5 and $75 an hour to complete projects and tasks. For example, their freelancers have expertise in ecommerce, website marketing, and selling on Amazon. We’re so impressed, that we’re currently working on a full review of Freeeup. AileenSoul is a cool job posting site where you can find freelancers and artists in addition to employees. It’s free to post jobs once you create a profile on the site as a business or a recruiter. And even the recruiter profile is free, making it a great option for startups doing a lot of hiring. If you want to hire someone as an employee rather than a freelancer, you may be asked to pay a fee to the freelance website you found them on, similar to a finder’s fee. There are a surprising number of free job posting sites for niche audiences and different kinds of business needs. Here are a few that might suit your specific hiring needs at no cost – while serving communities like veterans, interns, and work-from-home moms. In addition, Indeed offers free niche jobs ads that can target audiences similar to those shown below. You can find those candidates using Indeed’s resume search tool. In fact, new users can get $50 in free Sponsorship Credit to boost the results of their free job ads. Just like its title indicates, this is a job site to post internships. It also provides some great guidance on how to hire and manage an intern. You can post internship jobs for free. Hire My Mom is a niche job site targeted to stay-at-home moms and those taking a mommy-break from their careers. It provides jobs like administrative assistant, writer, and marketing experts, which are roles that can be done remotely by moms supporting their families from home. US.jobs, a government-run job site managed by the National Labor Exchange, lets anyone post a job for free to state workforce systems. Jobs are indexed and cross-posted on over 1,000 job boards if you provide a city and state location in your job post. Learn4Good is an educational website that has a job board for students. While it isn’t completely free, you can post up to 20 jobs in a six-month period for free and receive emails and phone calls from applicants. You can view resumes for free also. This job board is free to post jobs. It’s self-service, and resume viewing is not available. If you’re looking to hire a veteran for your open position, consider posting your open job here. Virtual Vocations provides employers with a free employer job portal that gives hiring managers access to over 900,000 job seekers – if you are a company open to hiring remote workers and telecommuters. On this site, it’s the job seekers who sign up and pay $15.99 per month to access the site. Wahve is a job posting site where you can find retirees with expertise in accounting, HR, and insurance. It works more like a freelance website where the experts are hired by you as a contractor, not an employee. Nonetheless, if it’s a seasoned pro you want, Wahve is a good option. Just contact them and let them know the kind of expertise you need. Loadjobs is a great site to post your job for free if you’re looking for help internationally. Although it’s not free forever, you are able to try the site for free, without providing a credit card, for up to one year. 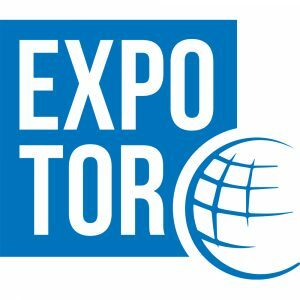 This job site is unique in that it specifically provides talent for individuals in the event and marketing industry, such as staff to work your trade show. They also offer other event and trade show services, but if you’re looking for talent in the marketing and event industry, you can post a job there for free. Telecommunity provides a job site that allows employers to post job openings in over 30 categories of jobs that can all be done remotely. However, no commission – only jobs are allowed, and the job has to be truly remote. What’s cool is you can sign up to get a list of new job applicants via email. Unlike Indeed and the job boards above, these sites are not free – they only offer a free trial. Often you can post one job on these sites to see if you like it; that may cost you nothing. In fact, most job applicants apply within the first 96 hours, and only 3% of job ads are still up by day 10, giving you plenty of time to try a site that offers a 30-day trial. After your first job post, you can choose to upgrade or switch to another free job posting site. But make sure you read the fine print during the trial period so you cancel by the due date and are not charged when the trial period ends. You can also use Freshteam to simultaneously push your job postings to ZipRecruiter and Glassdoor to get the most out of your free trials. Freshteam is free for employers that have fewer than 50 employees and lets you track job applicants through the interview process. They also offer a free trial for 21 days. Try Freshteam for free. With a database containing millions of job seeker resumes, ZipRecruiter has affordable posting options and loads of “feeder” job boards. ZipRecruiter tends to be better for entry-level roles rather than managerial ones. They often have free trial promotions; be on the lookout for a chance to try before you buy. Active job slots cost $249 per month. Read ZipRecruiter reviews for more insight. Though you probably already know Glassdoor as a review site for employers, they also have a great job board, like Indeed. Glassdoor has really expanded its services to cater to employer clients, not just via recruiting, but also by offering a knowledge suite around recruiting with templates, data sheets, and webinars. See how Glassdoor and Indeed compare. Glassdoor provides a free 30-day trial and then costs $549 per month for five job postings. Check out our complete review of Glassdoor. Boasting 17 million resumes, MightyRecruiter is an aggregated platform where you can post to 29 job boards at once for free for 30 days. That includes posting to LinkedIn, Glassdoor, and Career Builder. Paid accounts post to over 100 job boards. They also have a resume database to search for passive job seekers. Prices start at $189 per month for three job postings or $299 per month for 10 job postings. We’re working on a review. JobSprout provides multiple free international job posting options that let you post from one to nine jobs free for 30-days. Nonetheless, if you’re doing a lot of hiring quickly, you may be able to post and fill several roles for free by posting them all at once using this job site. It also includes a free dashboard to track all your applicants, similar to Freshteam. Paid job posts start at about $80 per job. Once we have a review of JobSprout, we’ll add it here. Some free job posting sites require you, as an employer, to complete an application. Others simply require you to abide by their rules, such as not posting jobs that require the applicant to pay a fee. Let’s take a look at a few tips for posting on a free job board or job posting website. Free job posting sites typically have parameters around what you can post, so make sure to abide by their requirements. For example, although Indeed does not limit the number of jobs you can post for free, it has specific requirements for posting commission-only jobs. For example, Indeed requires that commission-only jobs clearly identify themselves as such, so as not to mislead job seekers. Example of a commission-only job posted on Indeed. Keep in mind that when you post jobs for free, your job post will be at the top when you post it, but each day it will fall further and further down the list. Users can search for the job, but unless you pay to advertise the free job posting, even on Craigslist, your job listing will drop down in search results over time. If you are ready to make an investment to increase the number of candidates who apply for your job, paid ads might be your answer. Indeed’s Sponsored Jobs give your postings premium placement, and candidates get Job Alerts when their skills and experience align with your posting. That can bring you more qualified applicants. Sponsored Jobs cost as little as $5 per day, and you only pay when people click on your posting. Get $50 Sponsored Job credit. According to DogTownMedia, millennials are using mobile apps about 90 hours per month. Indeed supports that with their own research showing that 78% used mobile devices to find jobs. So if you want to find a millennial, consider posting your jobs on a site with a mobile app, like Indeed. If you’re having trouble deciding which job board is best for you, why not try more than one? Freshteam lets you post to multiple job boards, including LinkedIn, Indeed, ZipRecruiter, Monster, and Glassdoor, with just one click. You can even track which job boards are sending you the most qualified candidates to focus your efforts. If we had to choose just one, however, Indeed is the best choice for free job posting. 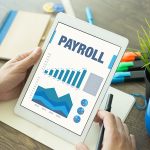 It offers a mobile app, applicant screening, and features that make it easy to keep track of all your open positions and candidates in one place. Get started today and receive $50 to advertise your job. Thanks Er for posting a site that works for you in India. You’re correct, we’re a little North American centric in our reviews. Maybe as we scale and add staff we can provide the best software in all countries for all industries. Baby steps … Thanks for checking out our site. Searching a job in India is a little bit difficult, But I found Job by getting alerts through jobads. Here’s a new job board that also offers free job posting. Not only that, it gives free candidate views. In case we have Canadian or Philippines readers I’ve left the company website “Workers Avenue Network” for reference above (but removed your link). We can take a look when we update the article in 2020. If any readers have experience with this job board, please chime in. Best. Thanks for sharing your niche job board with our readers. It doesn’t appear that Geebo is free any longer. Valerie, thanks for the update. They provide free classifieds, but you’re correct, they’re now charging $75 for a job ad. It looks like I’ll have to take Geebo off the list of free job posting sites when I update the article in a few weeks. I appreciate you bringing this to my attention! Best!